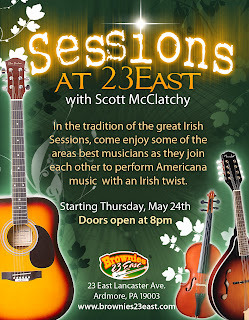 Starting on Thursday, May 24th, and every Thursday after that, I’ll be hosting “The Session At 23 East” This is NOT an ‘open mic’ – these sessions will be based on the great tradition of ‘Irish Sessions’ – where musicians gather on a weekly basis to play songs they love. 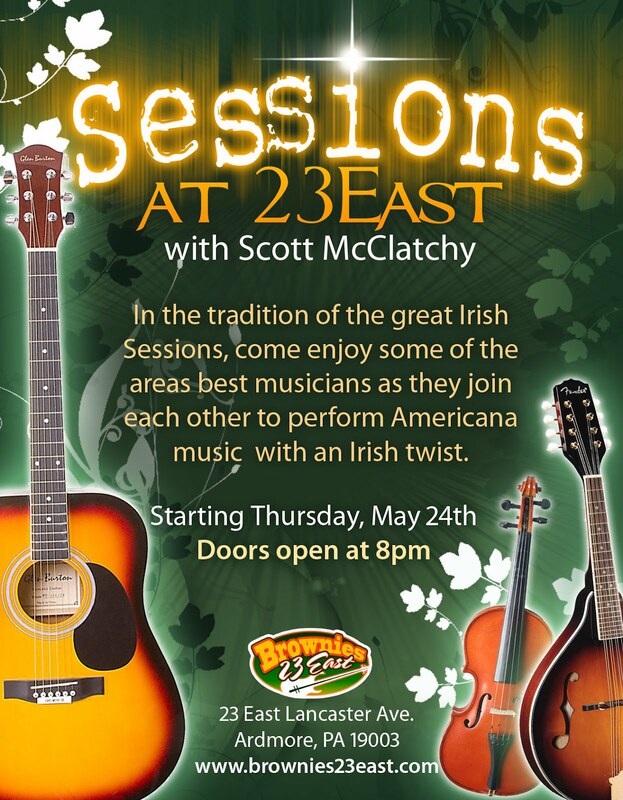 For these sessions, we will have some great, traditional, Irish players – but we will also have contemporary players … bringing in great “Americana” songs. Each week we will feature a singer/songwriter to play some of his/her own material. And, soon, we may even feature full bands. But, for now, this will be an acoustic setting, with use of the house PA – but no amps – no drum kits (though percussion is welcome!! ).